I used to wonder why bees bothered with the settling somewhere temporarily stage of swarming and didn’t decide where to go in advance. Then I realised they needed to reach their decision by having somewhere to hang out that provided a suitable stage for the scout bees to dance on. Fascinating that some go early – but makes perfect sense. No point in swarming if there are no homes around to go to. 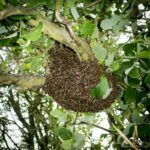 As well as thinking about our neighbours and how the swarms affect them I think we also need to think about the safety of the swarm. Out in the world of humans they are vulnerable to humans who dislike or are afraid of bees and would rather spray them than call a beekeeper. 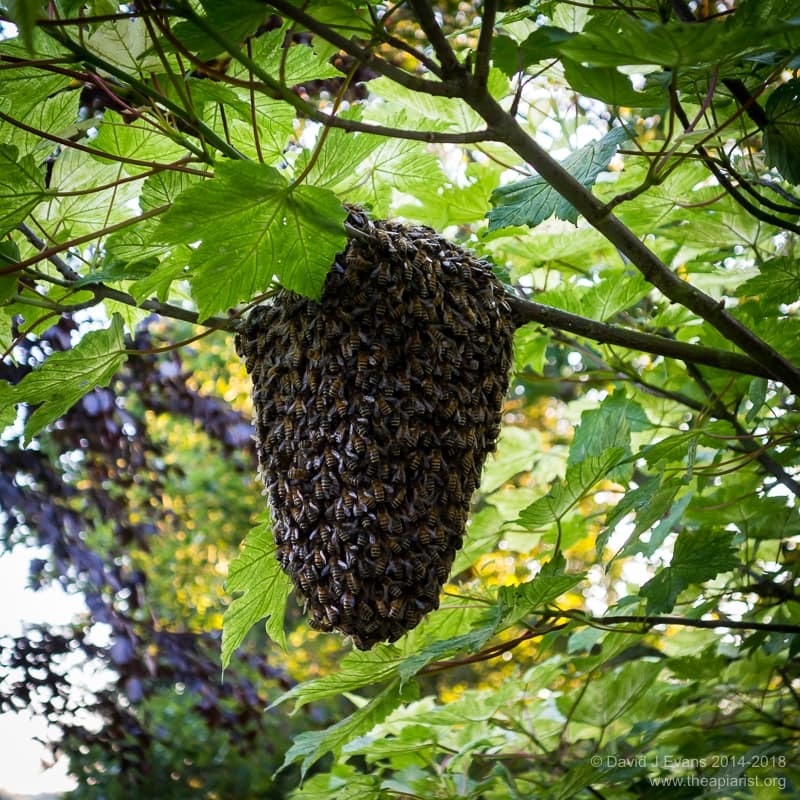 I suspect another function of the ‘temporary staging post’ is a means of checking whether the queen is fit enough – if she can’t fly properly or is otherwise damaged, or perhaps isn’t attractive enough to get the flying bees to cluster properly, then they can all return to the hive without having committed to fly a long distance. You’re absolutely right about the harm that can come to swarms at the hands of people who don’t like or understand bees. 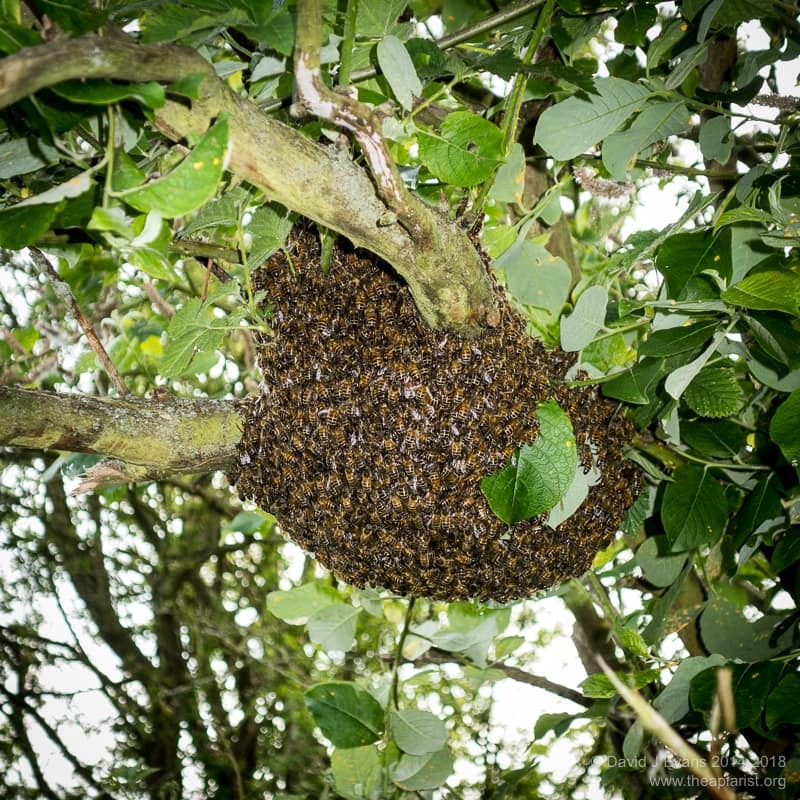 Swarms are usually very good natured and I don’t ever remember getting stung handling a swarm. We’ve had over a week of terrible weather here but with it forecast to warm up and stop raining I’m hoping the bait hives will get some more attention later this month. Good point about testing whether the queen is fit enough, I never thought of that. A timely post David! I have been getting pretty strong interest in a bait hive outside my study window for several days now. As the honey flow has just begun, hoping these scouts are not from my own colonies nearby! I would need a fogger! Too hard to sprinkle bees coming and going with icing sugar. 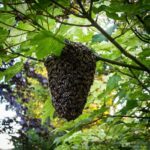 I will just see what unfolds, and do inspections of my own three hives, which should not be in swarm mode…but sometimes bees have surprising notions. 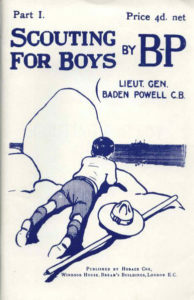 Video of the scouting activity is on the Instagram page of boundarybaybees. A fine sieve should work OK with a tablespoon of icing sugar. If there are significant numbers of scouts you won’t have any problem giving them a good dusting … I’m going to try this when the next scouts appear and then rush off to my nearest apiary to see if I can find them returning ‘home’.